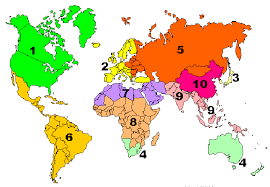 Jesuit communities and apostolic works are organized by 'provinces' which belong to one of ten 'assistancies' or 10 Kingdoms around the world. Click on the map of the world to see a list of all the real world government ruled by the Holy Roman Empire, governed by their Jesuit Order. They divided the world by provinces that belong to the assistancy you have selected; you will find the addresses of the administrative offices of each one as well as links to its web site. The countries names that you know them are for taxes collection and population control of divide and conquer purposes only. 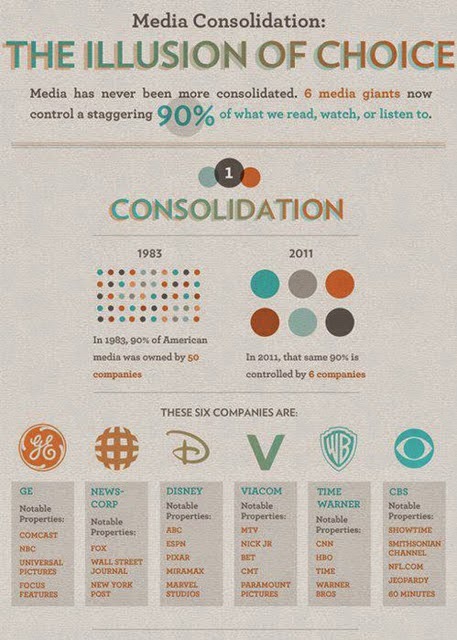 These are the real World power structure. The three most powerful men in the world are Jesuit priests. The order of their power is as follows: First, “the Black Pope” and Jesuit Superior General Adolfo Nicolas; secondly, former Black Pope and Jesuit Superior General Peter-Hans Kolvenbach; and lastly, “the White Pope” and Vicar of Christ/Vicar of Horus Pope Francis I. Pope Francis I is the first pope who is openly a member of the military order of the Society of Jesus. As to national identity, Black Pope Nicolas is a Spaniard; ex-Black Pope Kolvenbach is a Dutchman; and the present White Pope Bergoglio is an Italian. These three arch criminals under bloody oaths rule the world on behalf of Satan, “the god of this world” (II Corinthians 4:4). And the ten horns which thou sawest are ten kings, which have received no kingdom as yet but receive power as kings one hour with the beast. These have one mind, and shall give their power and strength unto the beast. 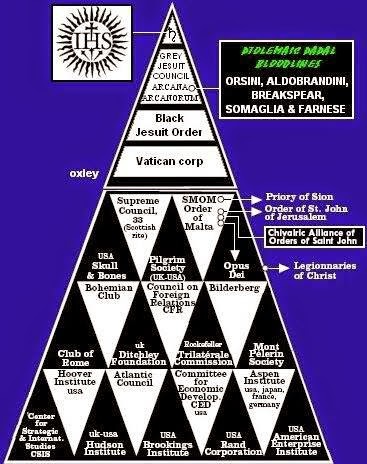 What this means is these three men rule all the governments of the nations through the Black Pope’s perfected international intelligence community directed by the Jesuits from Rome through London and Washington, D.C. All central banks are ruled by the agents of these men. All the armies of the most powerful nations (US, Russia, China, Germany, etc.) are ruled by these men. 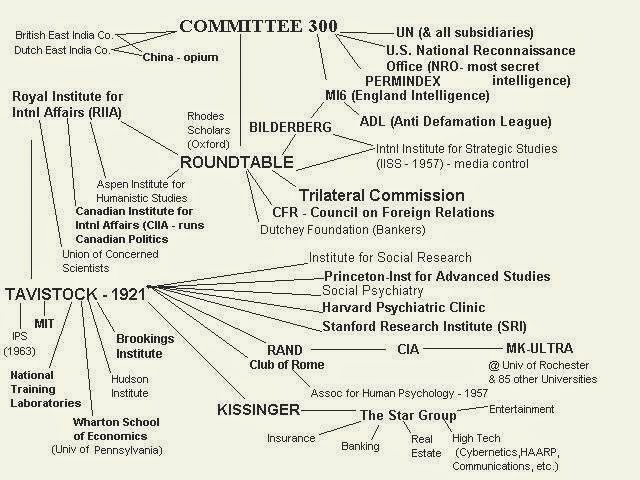 All the secret societies and the Committee 300 are ruled by these men. All mafia families conducting every sort of organized crime are ruled by these men. All entertainment and news outlets are ruled by these men. There is nothing outside of their immediate temporal power, i.e., the power ruling the governments of all nations today. 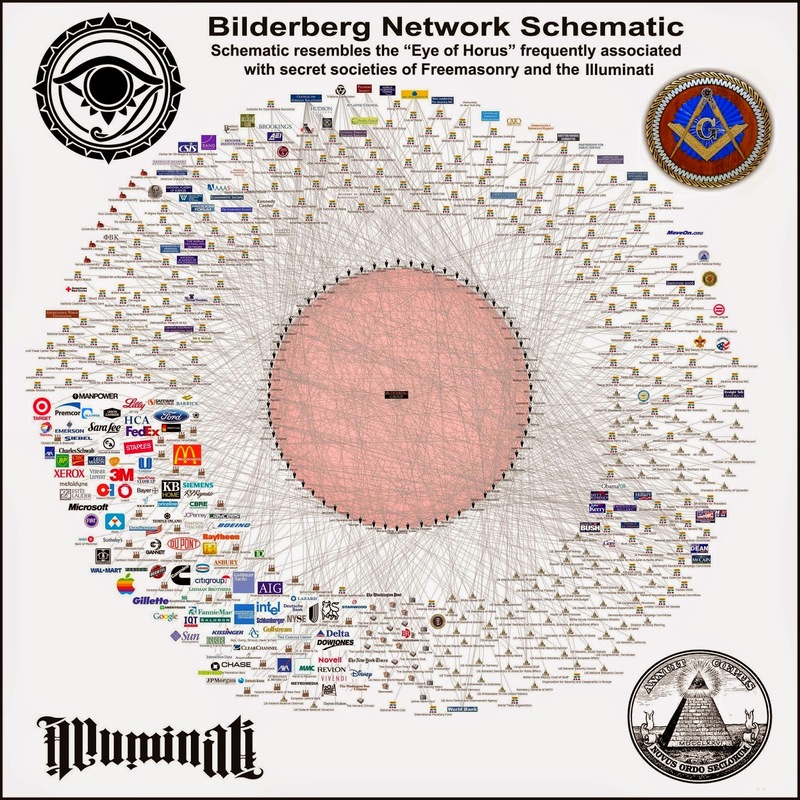 The Knights controlled Bilderberg Group, you think you have freedom of Choice, think again. HERE ARE THE 4 JESUITS LEGAL INSTITUTIONS WHO WRITE YOUR "LIBERTY" and "FREEDOM"
Once a country is conquered, the first paperwork approved by these institutions is that conquered country Constitution. Then the implementation and enforcement of the Canon Law. Architect of Indian independence from the Priory of Sion slavery ( The Priory of Sion clans claim they descended from a marriage of Jesus with Mary Magdalene.) Gandhi was subservient to the Jesuit Order to reinstate sovereign India. The US, China, Japan, and any Sovereign proclaimed countries were and still is below the Sovereign Vatican, except the countries in light-grey colored map above. But situation is changing quickly, Libya is been conquered, Syria is on its way, followed by Iran and the surroundings. Educational philanthropist, the English imperialist, financier, and mining magnate Cecil John Rhodes (1853-1902) founded and controlled the British South Africa Company, which acquired Rhodesia and Zambia as British territories. He founded the Rhodes scholarships.